Three groups of unidentified persons on board motorcycles, launch attack during mass. Objects and posters damaged. Reasons for the violence unknown. Tighter controls around the place of worship. After decades of peaceful coexistence, Yogyakarta becomes center of anti-Christian violence and abuse. Jakarta (AsiaNews) - Another Catholic community is now under attack in Indonesia in a climate of increasing cases of violence and abuse against religious minorities. 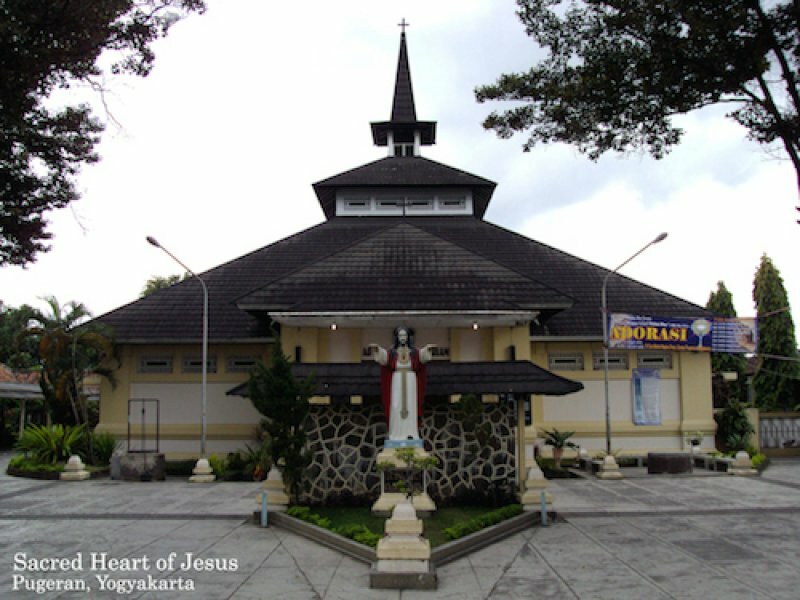 The Parish of the Sacred Heart in Pugeran, in the South of Yogyakarta was targeted early yesterday morning by three different groups of unknown assailants on motorcycles. The attack took place during the first morning Mass: the authors, dressed in black with their faces covered by masks, broke through the parish gates shouting "Allah is great". The incident coincides with the start of Ramadan, the Islamic holy month of fasting and prayer which officially began today in Indonesia, although it started on June 28th in most Muslim countries. According to reports from Fr. Priya Pr, Sacred Heart parish priest, the unknown assailants targeted some objects and posters placed by members of the local Catholic community, most of which are only displayed on the weekend during the celebrations. The reasons behind the attack remain unknown; the authorities have tightened controls around the Christian place of worship, in fear of more attacks. Last month in Yogyakarta, Islamic extremists attacked a group of Catholics gathered in prayer, beating up the community leader; a week later, Pastor Niko, leader of the Protestant Christian community, was targeted by extremists "accused" of having set up an "illegal" house of prayer without permission. Yoguakarta, in central Java, has always been considered the most "pluralistic" center in the country, with dozens of universities and thousands of students from across the province. However, after decades of peaceful coexistence, episodes of sectarian violence have recently emerged, despite appeals for calm and peaceful coexistence from the Sultan (and governor) Hamengku Buwono X, a prominent figure in interreligious dialogue. Indonesia is the most populous Muslim nation in the world. Increasingly however, it has become the scene of attacks or episodes of intolerance against minorities, whether they are Christians, Ahmadi Muslims or belong to other faiths. Aceh is the only Indonesian province where Sharia (Islamic law) is enforced, following a peace agreement between the central government and the Free Aceh Movement (GAM). Yet, in many other areas of the country (such as Bekasi and Bogor in West Java), a more radical and extreme vision of Islam is spreading among ordinary Indonesians. Certain rules such as the infamous building permit (Izin Mendirikan Bangunan or IMB in Indonesian) have been used to prevent the construction of Christian places of worship or stop construction already underway, as was the case for the Yasmin Church in West Java.The constitution provides for freedom of religion, however, the Catholic community (3% of the population) is victim of incidents of violence and abuse.